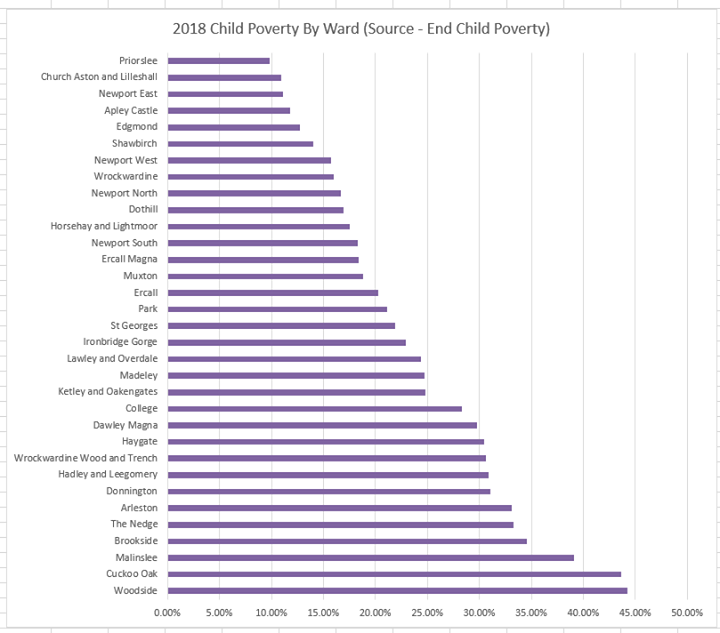 The End Child Poverty coalition has published figures providing a new Child Poverty map of the UK. The new figures reveal that there are now places within the UK where more than half of children are growing up in poverty – compared to one in ten, in the areas with the lowest child poverty rates. 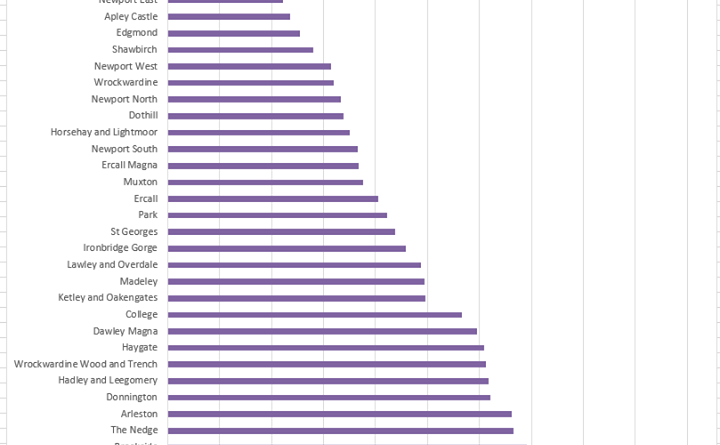 Nowhere in Telford gets to 50%, the closest is Woodside with 44%, after housing costs. This method means that there can be no end to child poverty, unless every household gets exactly the same income to the penny, whether its £50 a week or £5000 a week. Any surprises in this list? Why is a iPhone included in this measurement of poverty? 60% of the average UK salary is £16560 so if you earn that technical your in poverty, does the study count for child benefits, income tax credits ect? There seems to be a link between ‘poverty’ and house prices, obviously those on a lower income will be in the cheaper housing areas ie brookside/woodside. So this list only reflects the obvious- lower incomes (or child poverty as theyre calling it) = living in cheaper housing areas. 98.8% of all statistics are completely made up ..
Few questions… firstly, is the average the national minimum? If so then a household would have to earn £9.6k or less to be classed as in poverty… as average household earnings are about £24k. Equally what’s the methodology behind the adjustment per household? I think you need to educate yourself about what an average is. You can everyone earning different amounts and still not have anyone on less than 60% of the average. Circa 22% of children in the Ironbridge Gorge living in poverty?? Complete nonsense when being on benefits in the UK puts you in the richest 20% of the worlds population. There are Lies, Damned Lies and there are Statistics. “Average” is meaningless here.